The HPE SureStore DAT24 is a powerful data storage solution providing exceptional backup performance and reliability. Available as an internal external or rack-mounted drive it provides connectivity with the top four server and PC workstation brands and is compatible with leading operating systems and backup software. With the introduction of the innovative HPE One-Button Disaster Recovery HPE SureStore DAT24 users benefit from the most efficient disaster recovery process on the market. Using just the tape drive and the most recent backup tape you can recover from hard disk failure data corruption and viruses. The HPE SureStore DAT24 is a powerful data storage solution providing exceptional backup performance and reliability. Available as an internal external or rack-mounted drive it provides connectivity with the top four server and PC workstation brands and is compatible with leading operating systems and backup software. With the introduction of the innovative HPE One-Button Disaster Recovery HPE SureStore DAT24 users benefit from the most efficient disaster recovery process on the market. With the introduction of the innovative HPE One-Button Disaster Recovery HPE SureStore DAT24 users benefit from the most efficient disaster recovery process on the market. 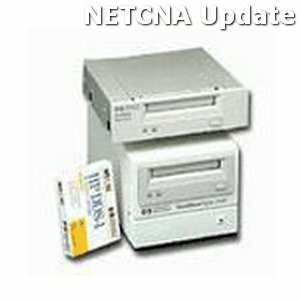 Using just the tape drive and the most recent backup tape you can recover from hard disk failure data corruption and viruses.